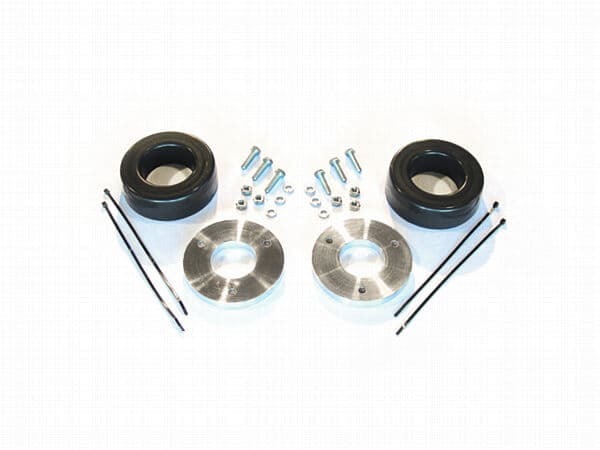 Performance Accessories designed a 2 inch leveling kit for Nissan Titan pickups that corrects the front-to-rear stance of the vehicle. 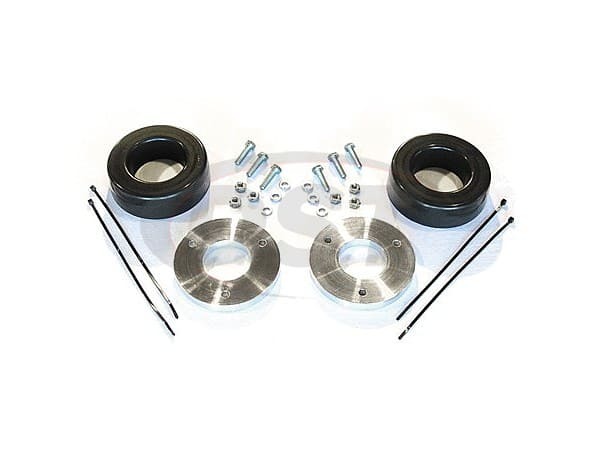 This coil spring leveling kit, features two high quality urethane coil compression spacers that sit on the coil springs for increased spring load and two machined billet aluminum spacers that sit on top of the strut mount plate. System comes with everything including heavy-duty hardware and thread locker along with detailed instructions. Dividing the lift between the coil spring and the top of the strut, eliminates excessive coil spring pre-load, and limits the overall length of the struts travel, resulting in a smooth ride while maintaining proper suspension geometry to prevent premature component wear, allowing the vehicle to run up to 33-inch tires. This system installs within 2 hours.